You have been doing your research. You know you want to replace your missing teeth. You know that you want dental implants. Now, you just need to decide where you will go. 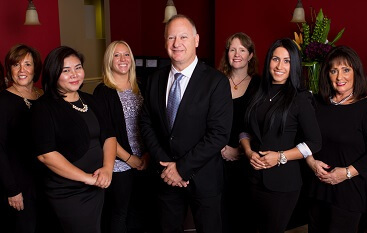 We welcome you to visit North Shore Oral & Maxillofacial Surgery. Dr. Scott Frank, our oral surgeon, is based in Buffalo Grove, IL, and has been helping patients in and around Chicago for decades. In today’s post, you can learn about dental implants and why Dr. Frank is someone you can trust with your implant placement procedure. To schedule a consultation, either fill out our online form or call 847-613-4933. When Swedish physical Per-Ingvar Bränemark successfully placed the first set of modern dental implants in the 1960s, it revolutionized restorative dentistry. Dentists had a way to replace the roots of missing teeth. The innovation and improvements that have taken place since them have made tooth replacement better than it has ever been. Now patients could re-create their smiles. They also could eat the foods they loved with confidence that their “teeth” would stay in place. That bring us to today, to you, and to your teeth replacement options at North Shore Oral & Maxillofacial Surgery. If you are interested in tooth replacement, one of the first things Dr. Frank will do is examine your jaw. This is important because you need a certain amount of jaw density to secure the implants in place. Assuming everything is OK, Dr. Frank can place your implants. When you are ready, you will receive the replacement that you need to complete your smile. A dental crown will replace a single tooth. A dental bridge can replace multiple teeth. Dentures can replace a whole arch of teeth. What happens if Dr. Frank finds that a patient does not have enough bone to support dental implants? One option to rebuild the jaw with a bone graft. A bone graft is effectively a bone transplant. Bone tissue is added to the jaw. As the patient heals, the transplant tissue and the existing tissue growth together. With time, the patient has a strong jaw that can hold dental implants firmly in position. Then everything goes forward from there. Bone grafts aren’t the only option if your jaw is too small for full-size dental implants. Mini implants have a smaller diameter than regular implants. That means mini implants can fit in when other dental implants won’t. Mini implants also can be used to support dental crowns, dental bridges, and dentures, so they can provide the same benefits as other implants. Which is the right option for you? The best way to know is to talk to our resident expert, Dr. Frank. Just call 847-613-4933 to make your appointment. ▸ Patients normally don’t like oral surgery. ▸ Patients should have as positive an experience as possible at his office. That vision drove him to start North Shore Oral & Maxillofacial Surgery. And for more than 25 years he has surrounded himself with a staff that supported that his approach to quality patient care. When he was 13 years old. Dr. Frank thought that he wanted to be an orthodontist. He enrolled in the University of Illinois College of Engineering before he was accepted into the Northwestern University Dental School. In dental school, Dr. Frank realized he had a passion oral surgery. He completed an externship at the University of Chicago focused on head and neck cancer. He completed oral and maxillofacial surgery training at Howard University Hospital and hospitals in Washington, D.C.
Today, he is regarded by his peers as an expert in his field. In fact, other dentists can earn education credits from the Academy of General Dentistry for taking courses he presents. Dr. Frank also is the director of the Elite Dental Group, which is affiliated with the prestigious Seattle Study Club. As a patient, this means you are being cared for by an oral surgeon who loves what he does. You are also being cared for by an oral surgeon that other oral surgeons see as a leader in their field. 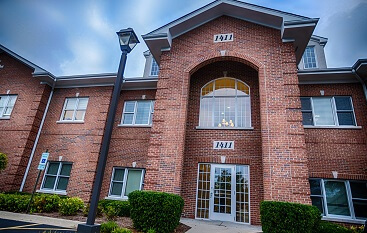 If you are ready for teeth replacements, we encourage you to visit our office in Buffalo Grove, IL. 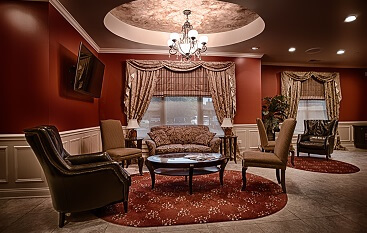 We think you will agree that North Shore Oral & Maxillofacial Surgery is different than what you would expect an from an oral surgeon’s office. You can make an appointment by calling 847-613-4933 or by filling out our online form.